Steven Knipp formerly was the Washington correspondent for the Hong Kong-based South China Morning Post. With that heartbreaking statement, spoken by a North Carolina-based American Airlines employee, one of the greatest tragedies in U.S. history began. It was 7:59 on a radiant September morning, 14 years ago, when American Airlines Flight 11 lifted off from Boston’s Logan Airport, bound for Los Angeles, California. On board were 81 passengers, two pilots and a cabin crew of nine. Sitting in Business Class were Mohammed Atta and four fellow terrorists. Less than an hour after take-off, Atta deliberately flew the Boeing 767 into New York's World Trade Center’s North Tower. The Sept. 11, 2001 terrorist attacks killed nearly 3,000 people in New York and Washington, D.C. Aside from the Americans killed, citizens from more than 90 other nations were also murdered. But for San Francisco’s Ong family the tragedy was dreadfully personal. 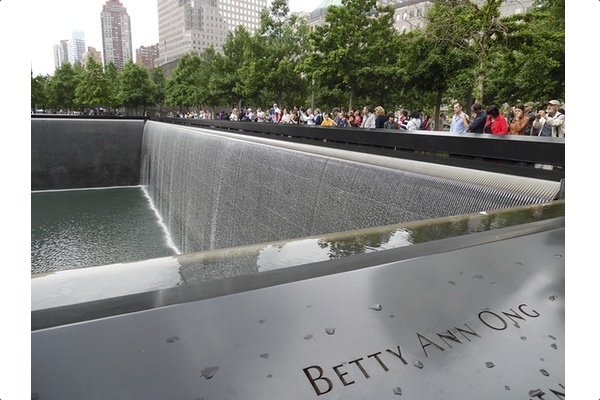 The “her” referred to by American employee Nydia Gonzalez was Flight Attendant Betty Ann Ong—the Ong family’s beloved sister and daughter. Ong was a victim of the terrorists. But she was also the first hero of that fateful day. Many people have heard of Todd Beamer’s courage (“Let’s roll”). But relatively few know about Betty Ong’s. Within minutes of the hijacking, and despite the murderous mayhem on board, Ong bravely grabbed a crew phone to call colleagues on the ground. For the next 23 minutes, she gave authorities a detailed account of what was happening. Ong calmly told ground staff there were possibly four hijackers of Middle Eastern extraction on board. Ong also reported on the carnage taking place—the First Class galley attendant, stabbed; the purser, stabbed. The terrorists also slashed the throat of a passenger, who was bleeding profusely. The hijackers locked themselves in the cockpit. Amid the mid-air horror, Ong remained cool. She identified the seats the terrorists had occupied, enabling the FBI to immediately learn the hijackers’ passport details. Fifteen minutes after Ong first alerted the world to what was happening, the big Boeing suddenly lurched, tilting wildly. She said the pilots were probably no longer flying the airplane. The 767 approached Manhattan, flying ever lower. Seconds later the line went dead. Born in San Francisco’s Chinatown, Betty Ong enjoyed an idyllic childhood. The youngest sibling, she was doted on by elder brother Harry and sisters Cathie and Gloria. Their parents, Harry Snr, and Yee-gum Oy, owned a small grocery store where they worked long hours. As a teenager, Ong grew to be a tall, attractive girl. Though self-conscious about her willowy 5’ 9” height, it helped her excel in basketball and volleyball. “Everyone who knew Betty really loved her,” says Harry, a youthful-looking pharmacist in his fifties. Discussing Ong’s courageous performance, Ms Gonzales said she showed absolutely no fear at all during the 23-minute conversation. The pain will always be there, but the Ong Family can be genuinely proud that their beloved daughter, and sister, was that rare person who embodied both exceptional courage and uncommon kindness. She literally made the world a better place simply by being in it.